In addition to on-going projects, Gallaher successfully completed more than 3,000 projects in the past 4 years, delivering the best in the design, integration, installation and service of life safety, security, communications, and professional audio video solutions. BB& T Riverview Tower 900 South Gay Street # S - Knoxville TN The Riverview Tower is an office high-rise located at 900 Gay Street in Knoxville, Tennessee, United States. Completed in 1985, the 24-story structure is Knoxville's second-tallest building, and along with its sister building, the First Tennessee Plaza, anchors Knoxville's downtown office market. DreamMore Resort at Dollywood, 2525 DreamMore Way - Pigeon Forge TN Built around the rich traditions of storytelling, family and togetherness, this Smoky Mountain resort is just minutes from Dollywood’s award-winning theme parks. This hotel in Pigeon Forge near Gatlinburg upholds the spirit of the South in a fresh new way, as it can only be imagined by Dolly and Dollywood. West Town Mall, 7600 Kingston Pike - Knoxville TN West Town Mall is a wonderful climate controlled indoor mall conveniently located off exit 380 on I-40. Considered the premier shopping destination in East Tennessee, our mall boasts more than 150 stores, over 40 of which are exclusive to this area. Sheraton Grand Nashville Downtown Hotel, 623 Union Street - Nashville TN The recently renovated Sheraton Grand Nashville boasts over 30,000 square feet of meeting space, including a stunning rooftop venue, and is centrally located in the heart of downtown Nashville. U.S. XPress, Inc. - Chattanooga, TN With one of the largest fleets in the nation, the newest technology, and the newest trucks, US Xpress has successfully built a culture of family, safety, and innovation. By staying true to their core ideals, US Xpress has achieved exponential growth. In fact, they surpassed $1 billion in annual revenue faster than any truckload carrier in history. They are proud to be early adopters of such life-saving technologies as roll stability, disc brakes, and accident avoidance systems. In addition, US Xpress’ fresh perspective included leading the industry in “thinking green.” They were awarded for the second time the SmartWay Environmental Excellence Award for reducing pollution and greenhouse gases. Cirrus Aircraft Vision Center - Alcoa, TN As Cirrus Aircraft transforms their business to deliver an experience never before seen in aviation, they are creating a brand new customer experience center in Knoxville, Tennessee called the Cirrus Aircraft Vision Center campus. The customer experience at the new Cirrus Aircraft Vision Center will encompass all Cirrus airplanes, products and services — including the Vision Jet. As their flagship location for all customer activities the Vision Center campus will be home to world class training, sales, delivery, maintenance, support, personalization, fixed base operations and more. Farragut Building - Knoxville, TN The empty rooms in downtown Knoxville’s legendary Farragut Hotel building once played host to presidents, sports stars, and entertainment legends. The hotel will hold 162 rooms and suites with meeting rooms once the renovation is complete, as well as a rooftop venue. Jewelry Television - Knoxville, TN Jewelry Television® (JTV) is one of the leading retailers of jewelry and gemstones in the United States. 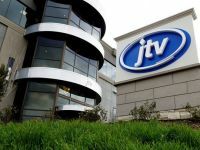 Privately-held with a proven 23 year history, JTV leverages an omni-digital retail strategy designed to elevate the customer experience through immersive, digitally-driven touch points. The company’s proprietary technology powers its unique platform which includes broadcasting live programming 24 hours a day, seven days a week to 86 million U.S. households, an industry leading mobile optimized e-commerce platform, and a robust social media presence. Holston Valley Medical Center, 130 W. Ravine Road - Kingsport TN Holston Valley Medical Center has partnered with and served Kingsport, TN, and the surrounding region for more than 80 years. With more than 450 board-certified or board-eligible physicians, more than 2,000 talented nurses, technicians and support staff, Holston Valley Medical Center is one of six Level I trauma centers in Tennessee, serving the most critically injured patients. Dominion Assisted Living, 425 Shelby Lane - Bristol TN Dominion of Bristol offers assisted living services and memory care to seniors living in Bristol, Tennessee. Our community is conveniently located off of Volunteer Pkwy and accessible to seniors living in Tennessee, Virginia and North Carolina alike. Dominion of Bristol is nestled away from the hustle and bustle to enjoy the crisp changing of seasons in beautiful Tennessee. Northshore Assisted Living, 8804 South Northshore Drive - Knoxville TN Northshore Senior Living is the first development of its kind in West Knoxville. The community is located on seven park-like acres off Northshore Drive and includes 68 suites and apartments available for assisted living, plus an additional dedicated wing for residents needing specialized care for memory loss. Northshore Senior Living prioritizes the use of eco-friendly features such as LED lighting, water-saving fixtures, low-maintenance cement fiber siding, and a super-efficient HVAC system. LeConte Medical Center, 742 Middle Creek Road - Sevierville TN Proudly serving our community, LeConte Medical Center offers a full array of medical specialties and outstanding medical technology. Blount County Courthouse - Maryville TN The firm of Baumann & Baumann deigned this great Classical Revival courthouse built by contractors Brimer & England in 1907. Knoxville Area Transit (KAT) - Knoxville TN Knoxville Area Transit is the City of Knoxville's transit system, operating buses, trolleys and paratransit service across the city. KAT carries over 3 million passenger trips each year. McGhee Tyson Airport - Knoxville TN Owned by the Metropolitan Knoxville Airport Authority, the airport employs 2,700 people, covers 2,250 acres, and averages 120 arrivals and departures each day. Dalton Utilities - Dalton, GA Dalton Utilities has operated as a public utility since 1889. Dalton Utilities provides potable water, electrical, natural gas and wastewater treatment services to the City of Dalton and portions of Whitfield, Murray, Gordon, Catoosa and Floyd counties. Blount County Justice Center - Maryville, TN The Blount County Justice Center is home to the Blount County court system as well as the Sheriff's Department and Detention Center. Maryville Municipal Center - Maryville, TN As part of a redeveloping downtown, the City of Maryville planned a new Municipal Center to meet the City’s needs. Previous studies identified a need for 135,000 square feet, but by re-programming and addressing all of the end-users’ concerns, JAI was able to reduce the building’s program to 95,000 square feet. Conceived in the tradition of historic seats of government, the new facility houses administration, finance, codes and engineering, and police and fire functions. Blount County Public Library - Maryville, TN The Blount County Public Library empowers residents to think, act, and aspire by providing opportunities to connect to our community, participate in life-long learning, and explore the world at large. Upperman Middle School, 6700 Nashville Highway, Baxter TN Part of the Putnam County School System, Upperman Middle School strives to educate students and to assist them in realizing their full potential as responsible, productive, contributing members of society by providing an educational environment in which students are challenged, excellence is expected and differences are valued. Upperman Middle School is proud of their role in the lives of their students and in the community. Bartlett Hall, Maryville College, Maryville TN Bartlett Hall is believed to have been one of the first Y.M.C.A. buildings on an American College Campus, and it is the only building on Maryville College’s campus that was built by students. Alcoa High School, Alcoa TN Opening in the fall of 2015 with a cost of $33 million, the new Alcoa High School handles over 600 students with energy efficient classrooms and the latest in learning technology. Oak Ridge High School, Oak Ridge TN Oak Ridge High School is a 4-year public high school, established in 1943, with an enrollment of approximately 1,500 students in grades 9 through 12. Oak Ridge High School students’ scores on the Scholastic Aptitude Test (SAT) and the American College Test (ACT) have exceeded national and state averages for the past 40 years. In 2013, according to the ACTs, Oak Ridge High School had almost triple number of college ready students compared to the state average. Amazon Fulfillment Center - Lebanon TN One of two Amazon Fulfillment Centers in the Nashville area, The 1 million-square-foot Lebanon facility opened in 2013 with more than 500 full time employees. 3M Company - 400 JD Yarnell Industrial Pkwy, Clinton TN 3M is a global science company that never stops inventing. Using 46 technology platforms, with an integrated team of scientists and researchers working with customers to create breakthroughs. The 3M Company's inventions have improved daily life for hundreds of millions of people all over the world. With $30 billion in sales, their 90,000 employees connect with customers all around the world. Scientists, researchers and marketers work across countries and across subjects to solve challenges big and small. 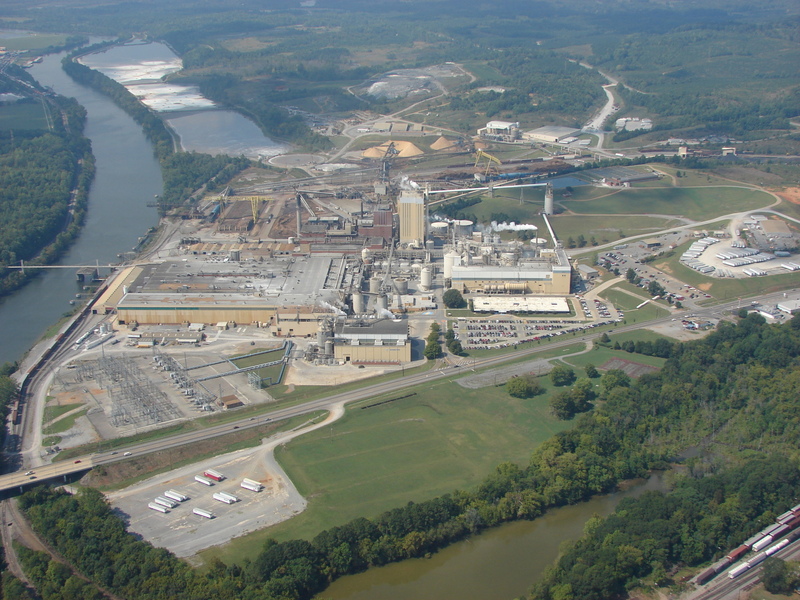 DENSO Manufacturing Tennessee - 1720 Robert C. Jackson Drive, Maryville TN DENSO Manufacturing Tennessee, Inc., is the largest DENSO operation in North America and employs more than 3,500 people at its Maryville facilities. Key customers include Toyota, Honda, GM, Chrysler, Ford, Hyundai, and Subaru. Established in 1988, the Maryville company features four manufacturing plants producing starters, alternators, instrument clusters, electronics (includes engine, safety, and device products), and body electronics (focus on remote keyless entry, auto air conditioning control units, tire pressure monitoring systems and body control modules). Resolute Forest Products - 5020 Hwy 11 South, Calhoun TN Resolute Forest Products is a global leader in the forest products industry with a diverse range of products, including market pulp, tissue, wood products, newsprint and specialty papers, which are marketed in over 70 countries. The company owns or operates some 40 manufacturing facilities, as well as power generation assets, in the United States and Canada. Resolute has third-party certified 100% of its managed woodlands to internationally recognized sustainable forest management standards. Clayton Center for the Arts - Maryville TN As a gathering place for the community and its visitors and as the home of the Maryville College fine and performing arts program, the Clayton Center for the Arts provides opportunities for the lifelong expression and appreciation of the arts. The Center plays a vital role in enhancing the quality of life, bolstering cultural and economic vitality, strengthening tourism, and expanding the educational offerings for our community and region. Dollywood Theme Park - Knoxville TN Spanning 150 acres in the foothills of the Great Smoky Mountains, Dollywood offers more than 40 rides, 15 exceptional shows, five of the South's largest festivals, Southern-style dining, and the friendliest employees in the world! Neyland Stadium, University of Tennessee - Knoxville TN Since attendance records were first kept beginning in the 1946 season, more than 25 million fans have watched Big Orange football in Neyland Stadium. Beginning in the fall of 2004, a Master Plan was unveiled to prepare Neyland Stadium for the next 75 years. The renovations were planned to be completed in five phases during the off-seasons to alleviate inconveniences to fans. First-Centenary United Methodist Church - Chattanooga TN The History of First-Centenary United Methodist Church is the story of two churches: Centenary Methodist Church and First Methodist Church. These two congregations played prominent roles in the civic and spiritual life of Chattanooga for more than a century and merged to form one church, believing that together they could serve God in the community in a more effective way. In 2007, construction began on The Oak Street Center which was completed in 2008. It houses a Worship Center for The Vine, kitchen, large classroom, and a spacious lobby. The core area of the present building was also renovated. The Vine serves both as a house of worship for members and a home church for Mustard Tree Ministries.